Dual Disc Front and Hayes™ Rear Brakes: We've installed the ultimate complement to the reliable dual-disc front brakes. The top-of-the-line Hayes™ dual-disc assembly in back comes complete with hand-actuated parking brake. So whether you're descending a mountain of switchbacks or just trying to park in San Francisco, you can ease your mind. 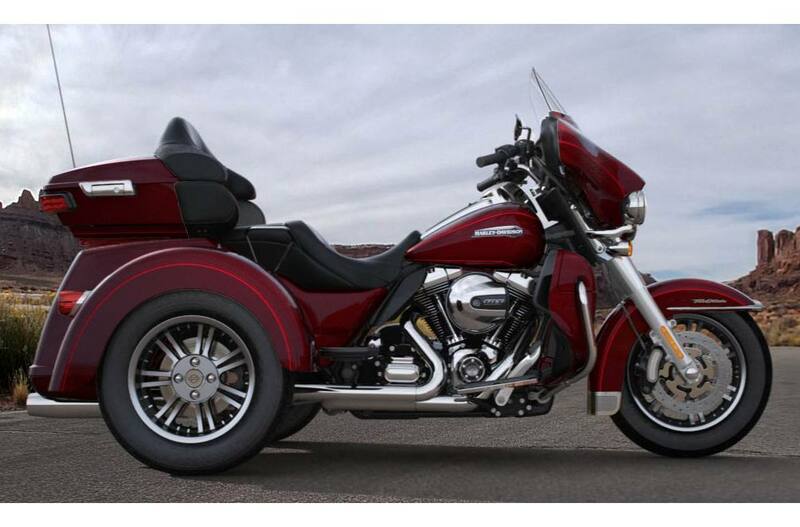 17" Impeller® Front Wheel: Sitting out front on the Tri Glide® Ultra model, you’ll notice a 17-inch cast aluminum, 10-spoke Impeller wheel. In the back you’ve got a couple of 16-inch Impeller wheels to match. The brake rotors are designed to show off more of the premium custom look of the wheels. Because if you’re going to go this far, you might as well take it all the way.